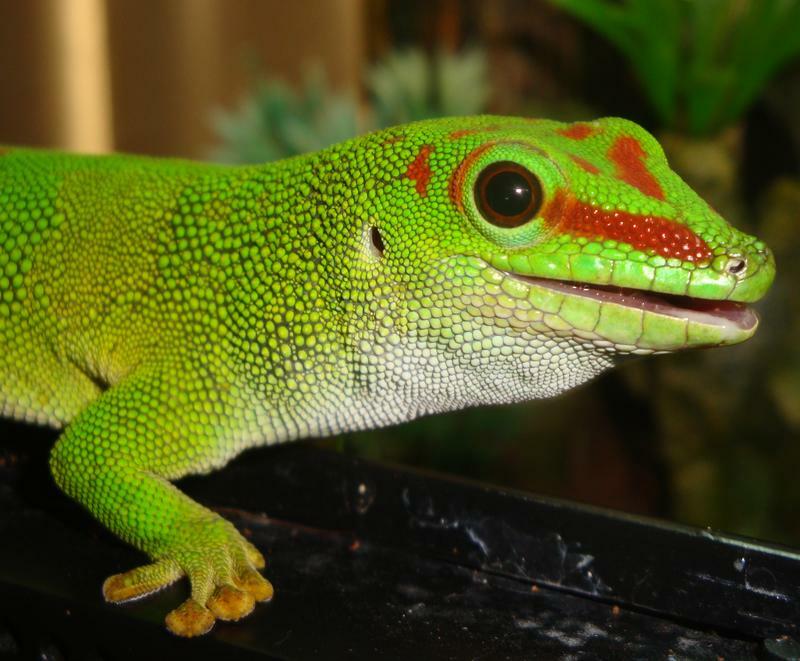 * The smallest reptile is the British Virgin Islands gecko and measures 7/10 of an inch. 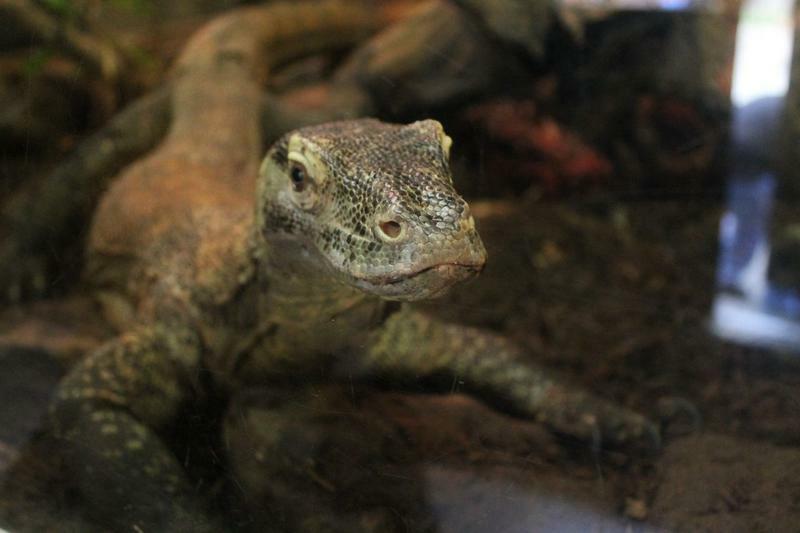 * Some reptiles such as the blue-tongued skink, boas, vipers and the three-horned chameleon give birth to live young. * Some turtles and tortoises can live more than a century! * Reticulated pythons have been seen swimming in the Atlantic Ocean! *The longest snake in the world is a reticulated python that measures 33 feet long! Padre Island National Seashore at 361-949-8173, ext. 226. 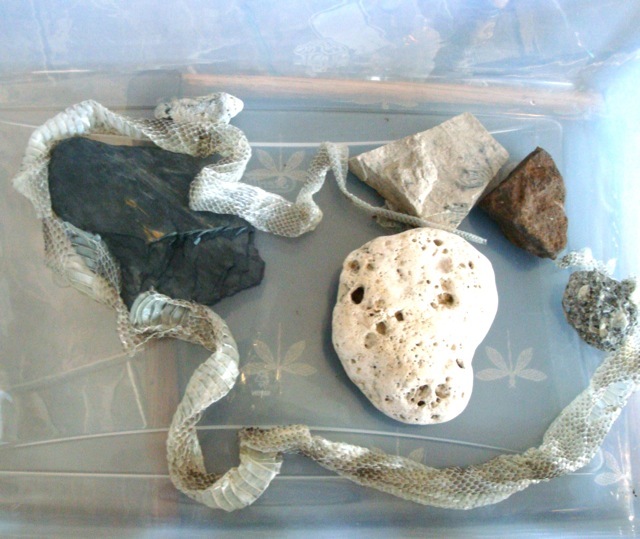 Marco uses the rocks to help him shed his skin. 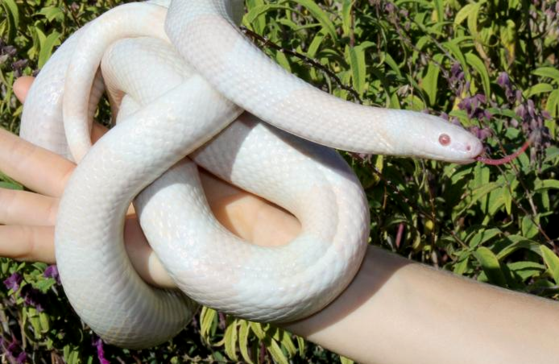 Some snakes shed about once a month, while others shed about once a year. 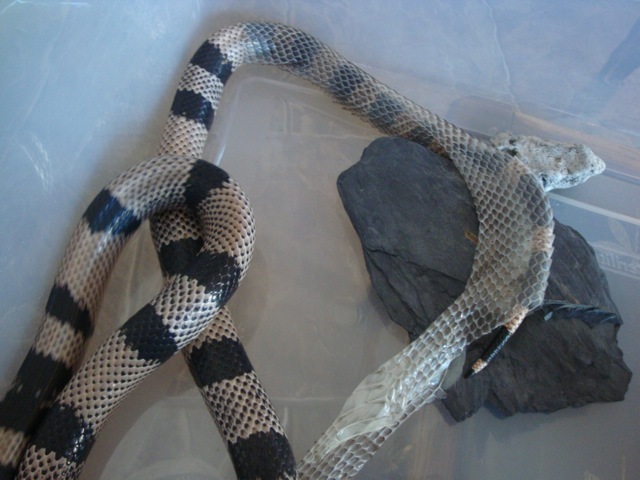 Marco is a Honduran milk snake, and he sheds about once a month. Most venomous snakes have elliptical pupils, like the rattlesnake on the right. Non venomous snakes have round pupils. We advise leaving all snakes alone if you see one in the wild. Don't try to approach a snake even if you think it's non venomous. Snakes are helpful by eating disease-carrying rodents. 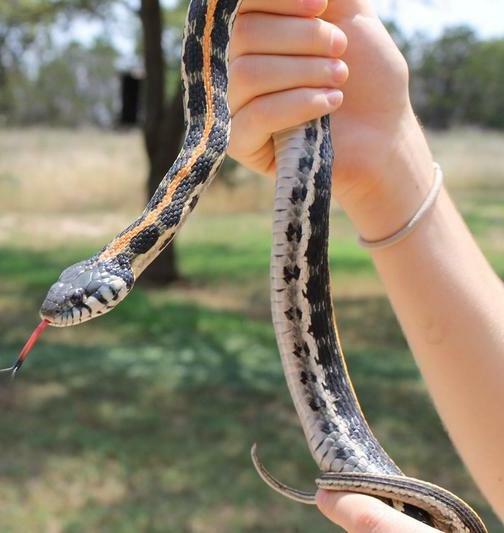 If you are bitten by a snake wash the bite with soap and water, stay calm, and go to the nearest medical facility. Snakebites are rare. About 7000 people are bitten in the US annually. 0.2 % result in death. 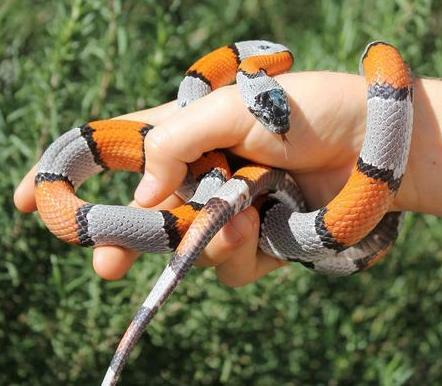 This Sinaloan Milk Snake has coloring similar to a Coral Snake. Coral Snakes have red, yellow, and black bands, too, but they're venomous. See how the red touches black on Joker? Here's something easy to remember. Red touches black, friend of Jack. Red touches yellow, kill a fellow. Even though Coral Snakes are venomous, they don't have elliptical pupils or wide heads. They are the exception to the rule. 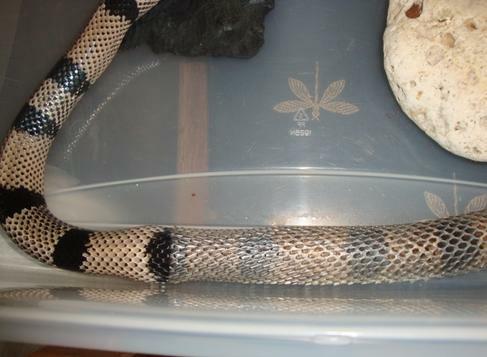 Boo is a grey-banded king snake. 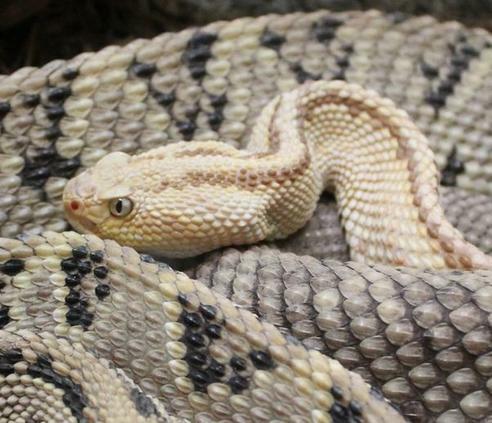 King snakes are immune to pit viper venom and eat cottonmouth snakes and rattlesnakes. Horned Toads are VERY difficult to keep in captivity and are illegal to have as pets in many states. They're numbers are in decline because of pet trade (and dying easily in captivity) and loss of habitat/food supply. Horned Toads primarily feed on harvester ants. Harvester ants aren't popular with people and are killed with pesticides. Some Horned Toad species have a special defense against predators. They can squirt blood from ducts in the corners of their eyes. The blood can shoot up to three feet and contains a chemical that is noxious to coyotes, wolves, and dogs. Adult males can reach 8 ft long and are venomous. Scientist have argued that these giant lizard are either venomous or carry a bacteria that kills prey. In 2009, researchers in Australia decided Komodo Dragons are venomous. 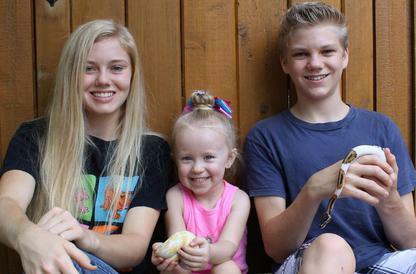 This is a great vlog for people who love snakes and for people who are afraid of snakes. Snakes are helpful by eating disease-carrying rodents like mice and rats. One pair of mice can have about 100 offspring in a year! A pair of rats can have over 1,000! We don't want to instill a fear of mice and rats, but we do want people to know how important snakes in the wild are! Snakes make great pets! They don't need daily care, so it's easy to leave them alone for a few days. We feed our snakes defrosted mice once a week, and we give them clean water twice a week. 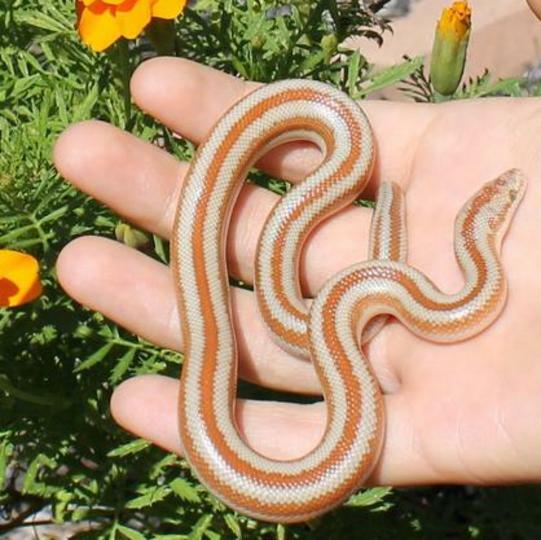 Snakes don't need special lighting, so that will save money when setting up a snake habitat. An enclosure with a locking lid is important, because snakes are escape artists. We use aspen shavings for substrate. It's easy to find at pet stores, but it's cheaper at feed stores. We spot clean our snake enclosures as needed, which is about once a week. We change their substrate about once every 6 weeks. 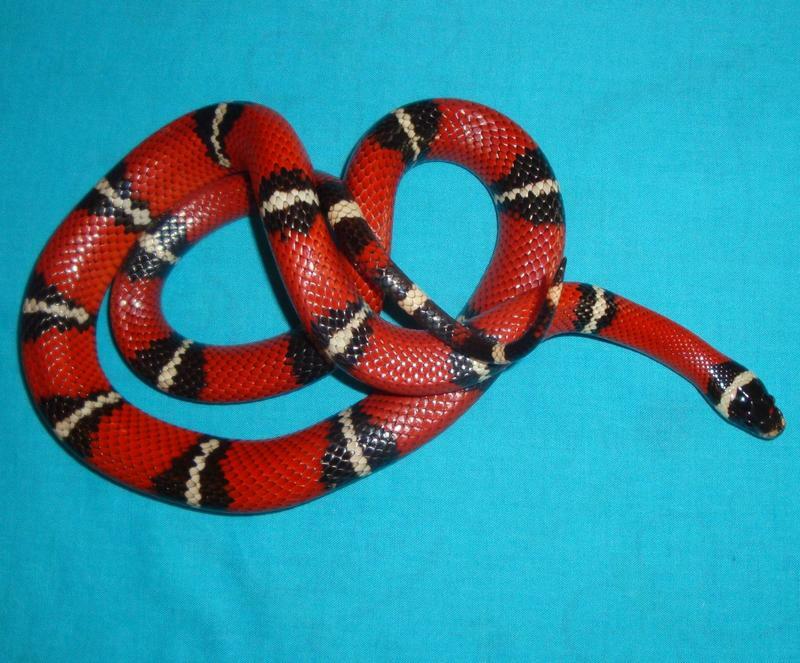 'Juneau' is a snowy milk snake from Honduras. 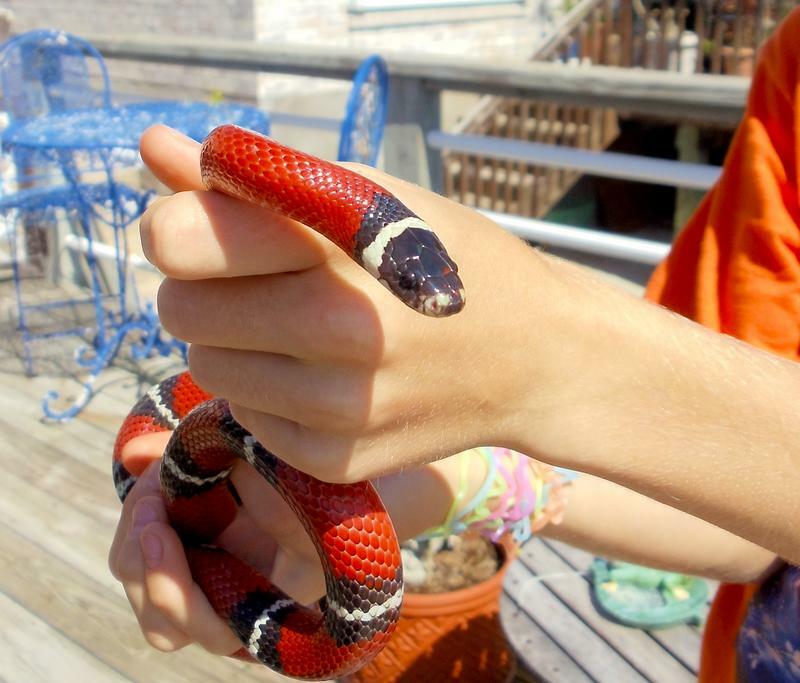 Milk snakes, rat snakes, corn snakes, king snakes, ball pythons, and rosy boas are a few species that make great pets for beginners. Marco met Hal Ketchum, one of our favorite singers! 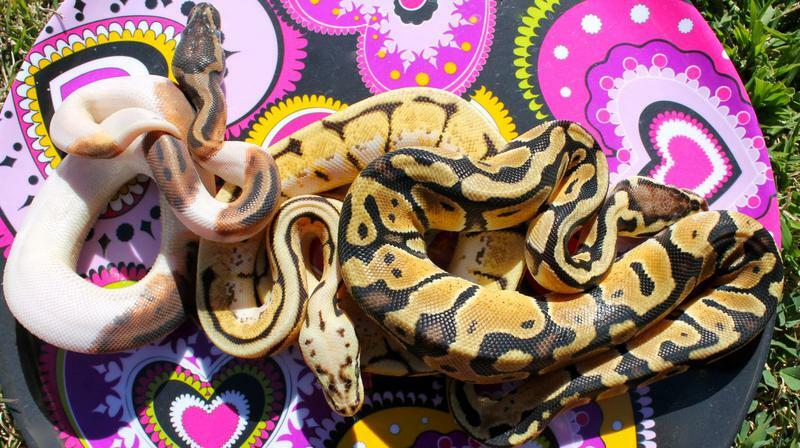 It is illegal to own boas and pythons in some counties. Some pythons and boas, like a reticulated python or an anaconda, grow to be VERY LARGE. 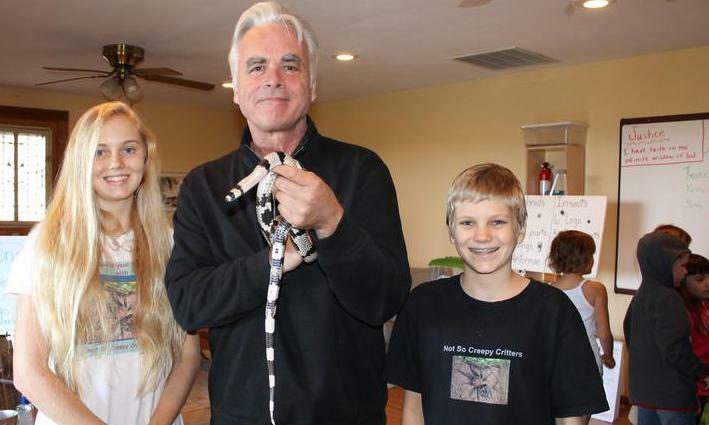 There have been irresponsible pet owners who have released these giant snakes into the wild. 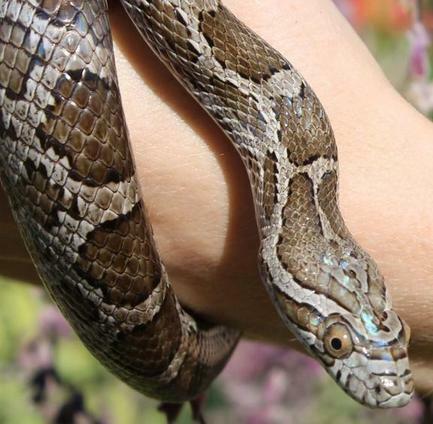 Florida is having trouble with these snakes, who are not native to the area. These snakes multiply rapidly and cause problems to the ecosystem. Ball pythons only grow to be about 4.5 feet long, and rosy boas only grow to be about 3 - 4 feet long. They both make great pets that are easy to care for. However, even these smaller species of pythons and boas are illegal in many counties in the United States. It's best to know the laws on owning reptiles before buying one. 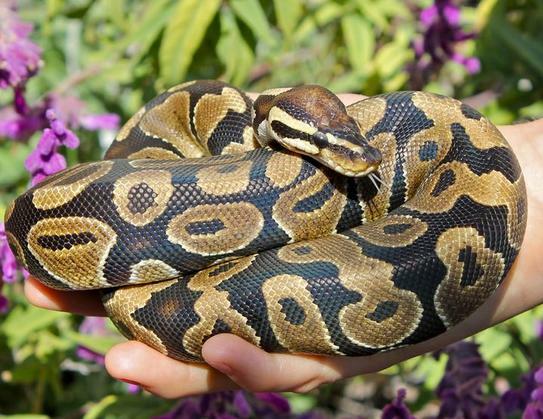 Ball pythons can live up to 35 years in captivity! Owning a pet is a big responsibility that should be taken seriously. *Exception: Some sand boa species and the Round Island boa lay eggs. 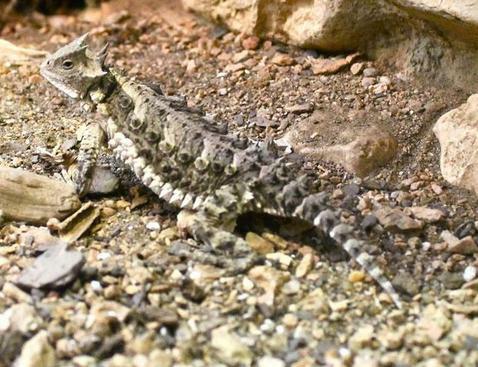 Texas spiny lizards can be found living in trees in Oklahoma, Texas and Mexico. They are about 7 inches long, and if you're fast, they're easy to catch. They are hard to keep in captivity, because they eat so many insects every day. A tall, large enclosure is needed to keep the lizard happy. 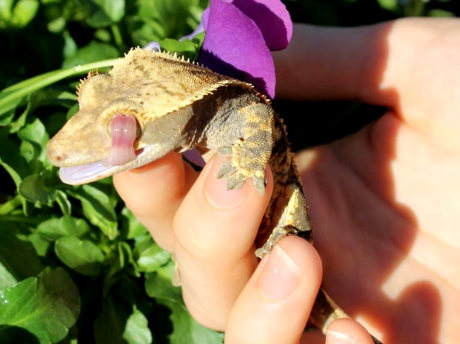 We don't keep animals we find in the wild, instead we find reputable breeders with captive bred critters. 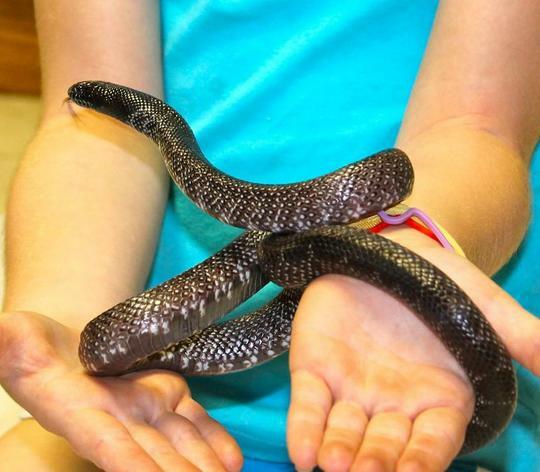 There are many reptile rescue facilities with pets that are ready to adopt, too. 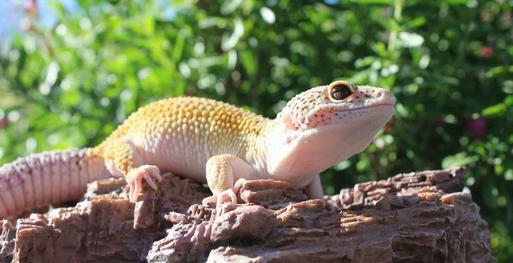 Even though we enjoy keeping different reptiles, there are reptiles we don't recommend keeping as pets. 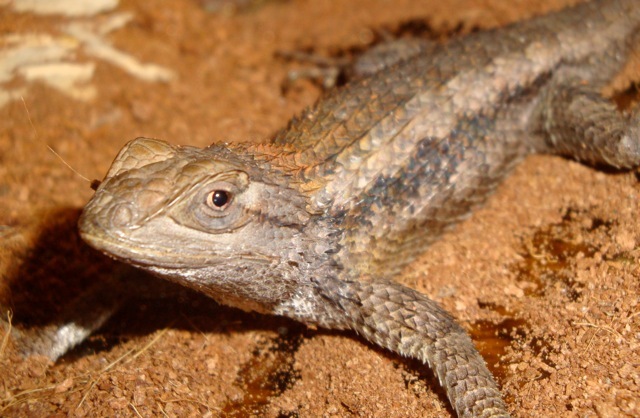 Here are three lizards that are best left in the wild. Use these questions to help choose the pet that's right for you. * How long does the critter live? * How big will it grow? * What size of enclosure will it need? * Does it require special lighting? * Does it require a heat source? * What does it eat? * How often do I feed it? * How much does the food cost? * Where do I buy the food? * Is there a vet close by? * What are the laws in my county on owning this type of critter? 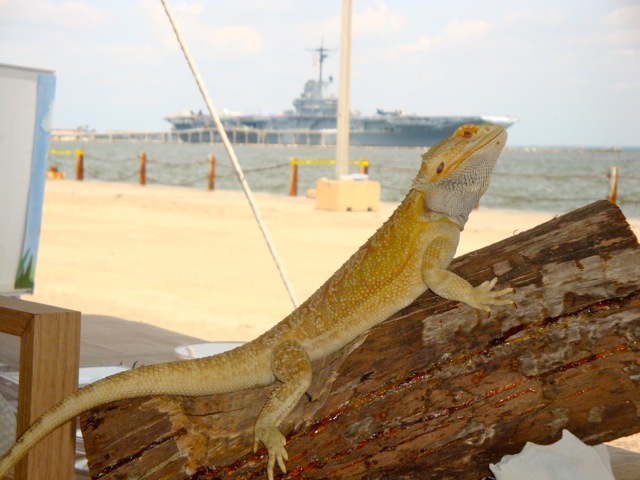 Erik and I will have a booth at the reptile show in San Antonio, Texas on November 2nd and 3rd, 2014. 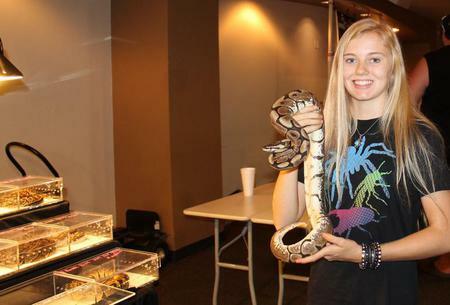 This year the reptile shows will be at a new location! Click Luellas' photo for more information!